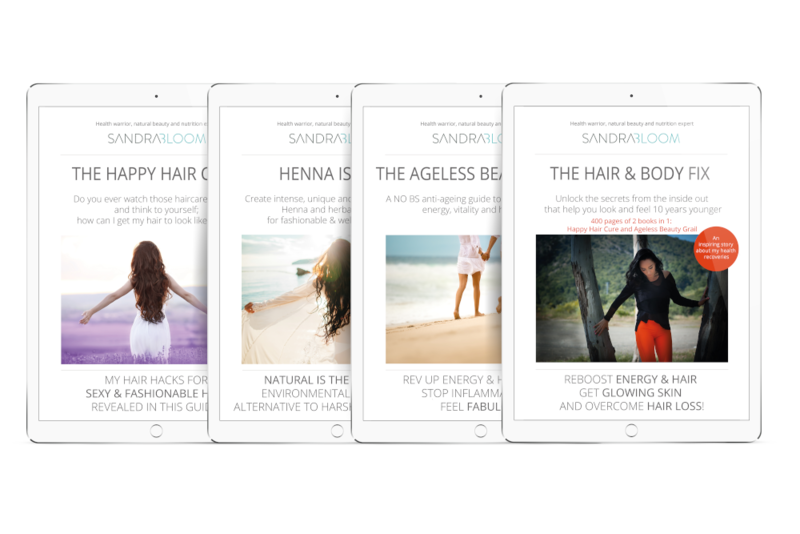 Sandra Bloom is the author of several NO BS anti-ageing wellness guides to regain your health, hair, vitality, happiness & confidence. Her books bring an entirely new approach to shifting achieving and sustaining health, combating hair loss naturally, healing, weight loss, hair care, holistic lifestyle and happiness. – all through natural means. (yes, at the end of the day, it’s all connected. Everything that I write about and the advice I give comes from a holistic viewpoint. Taking a holistic approach means that you do not only concentrate on one aspect of your health – it is a complete way of taking care of your health and body. Put simply, if you suffer from hair loss, you need to look at other parts of the body as well. This is the ethos I adopted when writing all my books and you will notice this common thread among all of them. The ultimate health book – The Hair and Body Fix is a guide to feeling and looking beautiful, inside and out! Sandra delves into the holistic practices and recipes you can adapt to becoming, healthier, sexier and more beautiful. All while recovering your health and regrowing luscious hair! This book combines two books at a more economical price. 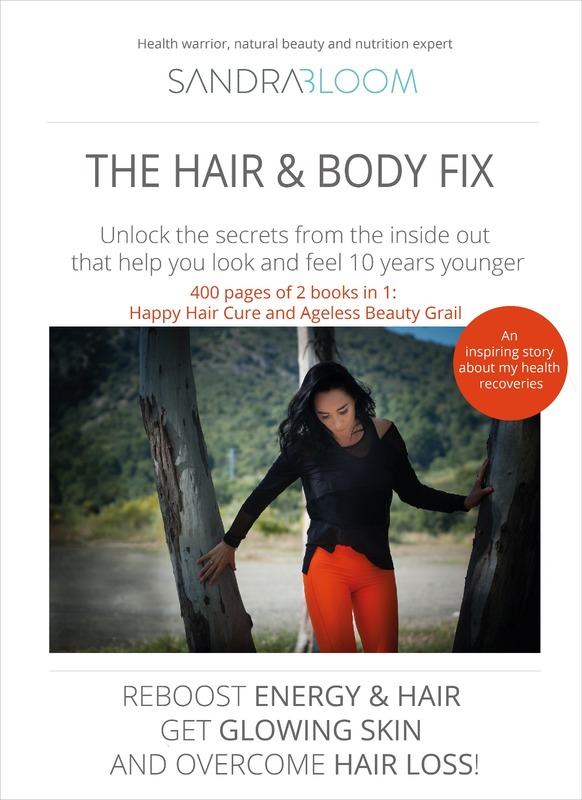 The Happy Hair Cure and The Ageless Beauty Grail. Hair is a major concern for men and women alike. 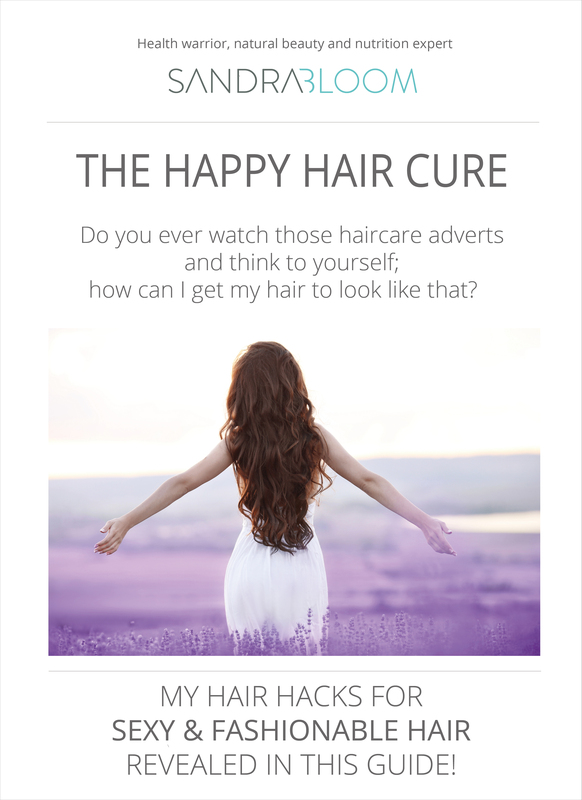 In The Happy Hair Cure, Sandra lifts the lid on how to get gorgeous, luscious locks without a single chemical or toxin! This guide gives a holistic overview on how to live naturally and get the hair of your dreams while you do it. 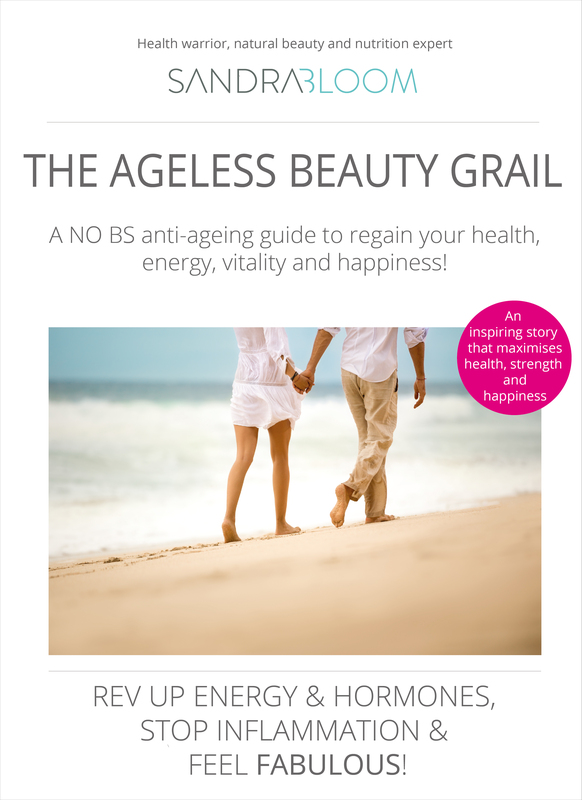 The Ageless Beauty Grail is an indispensable no BS anti-ageing guide that can empower readers to enhance their weight loss goals while rebooting their health, vitality, happiness, energy & confidence FOR GOOD! Sandra Bloom is the author of several NO BS anti-ageing guides that will enhance your health, energy, wellness, happiness, and confidence. She is also a blogger and businesswoman who advocates all things natural. 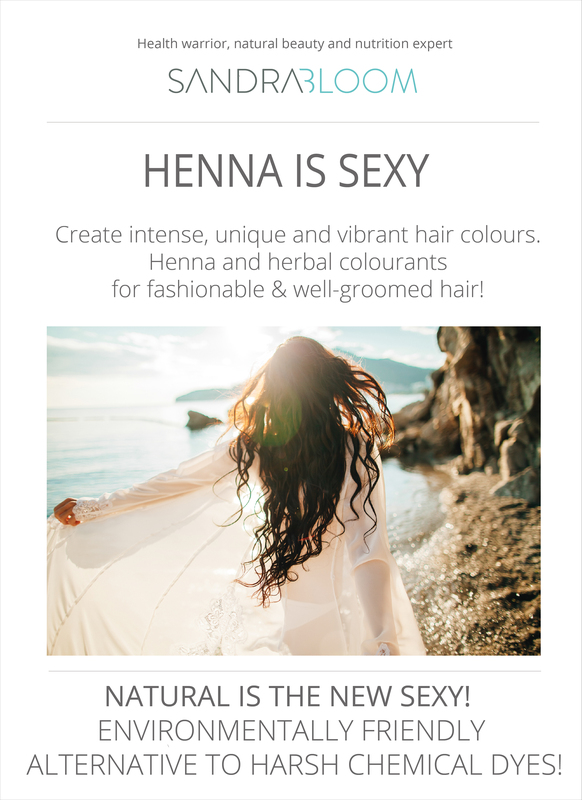 You’ll find her website packed with advice on natural holistic living, clean eating and beauty recipes, battling hair loss, getting thicker vibrant hair, living chemical-free, healthy food & cutting-edge anti-ageing tips. After a frustrating decade of battling several chronic illnesses, she became disillusioned with the medical system and decided to take her health into her hands. Now, through her books and wellness platform, she wants to empower people around the world do the same and regain their health, hair, life, vitality and beauty! Natural health and wellness platform, cutting-edge anti-ageing advice and a curated shop of health books and clean beauty products.